It was a house full of unrelated passions. In the incredible novel To the Lighthouse, Virginia Woolf takes us to Hebrides on the Isle of Skye off the coast of Scotland, where the Ramsey family retreats during the summer. The novel is not driven by plot but rather through the consciousnesses of many of the characters. Mr. and Mrs. Ramsey and their eight children are at the house where we hear much from their son James, who is anxious to visit the lighthouse, but is curtly denied by his father due to the weather. A number of guests arrive to spend the summer with them, including Lily Briscoe, who is planning to paint a portrait of Mr. Ramsey and James. The novel is in three sections—The Windows, Time Passes, and The Lighthouse. 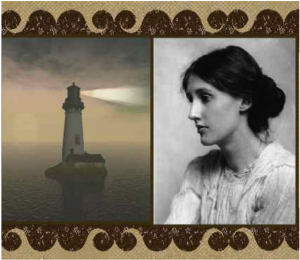 The story covers ten years, through the death of Mrs. Ramsey and two of the children, finally ending with the long-awaited trip to the lighthouse. Meanwhile, Lily Briscoe, one of the few guests who have returned to the summer house, remains there while the rest of them sail off, finally finishing her long-labored painting. A film based on the novel was released in 1983, and is described as a faithful rendition of the novel. It stars Rosemary Harris, Michael Gough, Suzanne Bertish, and Kenneth Branagh.